I dedicated my Written submission to the memory of the Victims of The Christchurch Terrorist attack. I dedicate My Undelivered oral submission on this Bill to the memory of The late Hero Venezuelan Cop Oscar Perez… who Forsook working for the corrupt Government of Tyrant Nicolas Maduro and instead Died In armed revolution for the sake of the starving and oppressed people of Venezuela… fully lawful in his actions according to the Constitution of Venezuela Article 350. 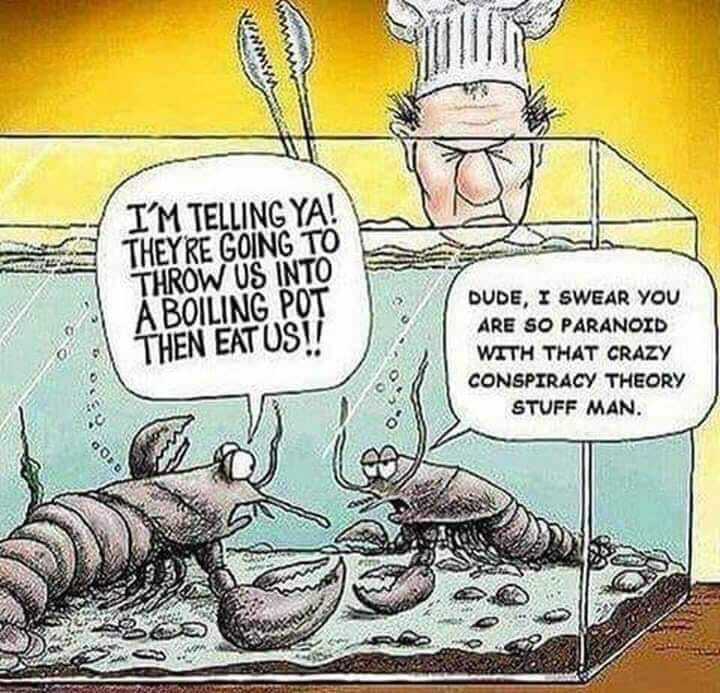 Do not be deceived into thinking anyone who expounds these Ideas I share with you is Crazy… or Dangerous… that is what your slave masters want you to think! Some of the greatest, and most moral human beings ever to walk this Earth have been enemies of the tyrannical Governments under which they had the misfortune to live… and they had the courage to stand against Evil powers in high places. If I had stood before the committee and actually delivered the following submission I would have told them that the Right to Free speech is a defining characteristic of any free Nation nation… as it is designed to protect outspoken critics of Bad law … like me… from Politicians who write bad laws… like you! My concerns about this Bill are centered upon how it is part of a general and insidious erosion of Our Liberty and Rights that has been accelerated by the Governments response to the Christchurch terrorist mass murders. A response that was anticipated by the Terrorist himself in his manifesto. Because of lack of time to fully expound my views on these matters There is much I have to leave unsaid and I will only be able to focus on but a single aspect of why I oppose this Bill. I have spoken briefly on far more aspects regarding this bill in my written submission. Today I want to focus on the right to self defense. Because I am not a gun owner, this puts me in a stronger position than the Kiwi gun owning community to speak about self defense. Its an extremely relevant issue with respect to what happened in Christchurch, and is in fact the key to a completely different response and strategy to what happened… one that instead of taking away rights as the proposed Bill does, this self defense strategy instead places more power back in the hands of the people where it rightfully belongs! Yet this far more credible and moral alternative has been completely ignored by the government, and even the Gun owning community has shyed away from talking about it because not only do they know how antagonistic towards self defense the government is… the way the law now functions Gun owners are forbidden by the government and Police to claim Self defense as a valid reason why these firearms should not be prohibited! And this is a primary reason I can confidently assume few submissions opposing this bill will have mentioned Self defense.. because for gun owners to do so is to run the risk of a Police raid and the confiscation of their property! There exists a general dysfunctional culture of abuse, arrogance, narrow mindedness and antagonism by parliament and the police towards the citizens of New Zealand that is manifested by this bill and the other Draconian activities these powers have been engaged in since last month… all part of an agenda that is at variance with the Rightful duties of government and its proper relationship to the people. A hell of a lot of political mis-direction and opportunism is taking place in the wake of the Christchurch Terror attack. When you investigate this aganda… this desire … this policy to Ban semi automatic firearms we find it is not something that Ardern has arrived at in sober response to the Terror attack but is in fact a policy that has been the subject of constant pressure and lobbying from the New Zealand Police Association for a very long time. Christchurch has merely provided them with the perfect opportunity to impose their desires without bothering with the normal processes… and safeguards for making laws. What are the motives for this Rush to prohibit so many types of firearms? a. I would never deny that obviously a primary motive would be one of Public safety… to try and minimize the the possibility of these guns being used in crimes against the public… very simplistic… yet appears noble. This is the angle they have used to ‘sell’ their actions to the public, and to which the media have vigorously propagated as well. b. Yet Let me present to you another motive… the obvious fact that the police are lobbying for this Bill from their own interests… a desire to mitigate the possibility that they themselves may have to contend with angry citizens when executing searches and seizures, or violent criminals who may have legal access to such firearms… resisting arrest, etc … which is understandable. Yet there are many hazards in this type of activity when the Police consider it normal to try to sway the direction of the legislature… hazards that prove why the maintenance of the principle of the separation of powers is an important safeguard for just legislation and the safety of the rights and liberties of the citizens of the country, whom are the employers of the government and Police, and who these agencies are supposed to serve. On the first count however we see a serious flaw in their logic with regards to a Ban on semi automatics to the general population for the sake of a handful of madmen, a massive gap that they do not consider… in that such a prohibition also renders the entire population less able to defend themselves should a madman or Group of Killers be on the loose. Failure to weigh this greater consideration demonstrates the arrogance of the Police association, and their contempt for the right of citizens to act in their own defense. The Math favors the rationale that the more of these guns are in the hands of Good law abiding citizens that the less likely Madmen will be able to carry out mass shootings of the magnitude we saw in Christchurch, and there are plenty of studies that validate the fact that more guns results in less crime, and also that New Gun restrictions do not result in less murder. There have been plenty of examples in which armed citizens with Ar 15s have put an end to rampaging Killers. On the second count which is the assertion that the police pushing the prohibition of semiautomatics and pump action shotguns are acting out of their own self interest I believe this is in fact their primary motive to why The Police have lobbied Government to ban semi automatics, and this too displays the contempt the Police have for the peoples right to bear quality arms in their own defense. Do not think for a moment that I have no care or concern for the welfare of the brave men and woman in our Police force… let me clearly sate for the record that a very close member of my own family is a front line police officer, and so I do have skin in the game… yet I hope that I am making the point that it is the duty of the Police to serve, and to uphold the rights and liberties of the people, not to lobby and work to greater empower themselves and take away our rights and liberties. It is only The Rights and Liberties of a Nation that makes it great, and keeps its people free, and distinguishes Free people from those who live under Political subjugation. To be a Good policeman firstly requires a love and respect for Freedom and justice… a desire for our country to be Free, and for our people to enjoy their rights and liberties… and to display boldness in doing this difficult task without becoming antagonistic towards the rights and liberties of the people they serve. 5. and No member of the Police may participate directly in political activities. The Activities of the Police Lobbying and participating in Propaganda to facilitate our Elected Government into passing this Bill clearly contravenes the principle of a separation of The executive and legislative powers on government. They have clearly engaged in Political activities… conspiring with Parliament against the Community! The drive by Police to actively engage in propaganda and the legislative process against the rights of Gun owners shows a contemptuous attitude towards Gun owners… ie is evidence of a Dysfunctional police culture and prejudice… and this same prejudice and contempt is clearly displayed by Members of parliament, on both sides of the house… those politicians who encourage the police to propagate fear, and lobby for heavy handed legislation. So instead of a separation of powers.. we find Collusion… to defraud the rights of a portion of New Zealand Citizens… Legal and law abiding Gun owners. This Bill is bad Law founded upon Corrupt practices. In March A Judge in America has just struck down Legislation that attempted to ban high capacity Magazines saying that they had legitimate Self defense utility. US District Judge Roger Benitez cited home invasions where a woman used the extra bullets in her weapon to kill an attacker while in two other cases women without additional ammunition ran out of bullets. He declared unconstitutional the law that would have banned possessing any magazines holding more than 10 bullets. Italy has just passed a Home invasion and self defense law this month that Modifies article 52 of the Italian penal code, which now allows Italians to use “A Legitimately held weapon” to protect themselves and members of their household, making it far less likely individuals will be brought up on charges for defending themselves. imitating this would be a far more rational response to the Christchurch terror attack. 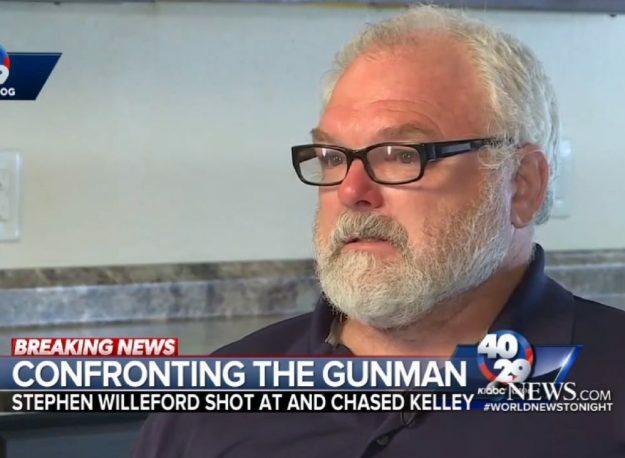 In November last year Christian Biker Stephen Willeford grabbed his AR semi automatic rife and ran towards shots he could her coming from a church and he faced off against a Terrorist Just like the one who attacked the mosques in Christchurch! He was able to Drive off the Terrorist who was murdering Christians in their place of worship… Wilfords fire forcing him to call off his attack and retreated to his vehicle… The gunman would be found shot on the side of the highway! And for my final example I want to give you an example when AR Rifles were legitimately used by Private citizens to defend their own Livelihoods, Liberty, and property from the tyrannical actions and intentions of a Modern day Western democracy under leftist Liberal administration… proving that Citizens need such arms to defend themselves from Modern day Socialism in a country very much like our own! 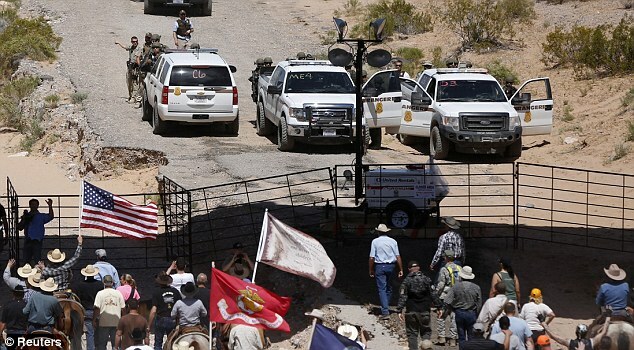 How many of you are familiar with recent events in Nevada USA,,, and the Bundy Ranch? Go do some homework people… yet be careful where you get your information! The Bundy Family are Ranchers of who have Leased land off the State of Nevada for many generations and yet the Federal Government has been using very tyrannical means forcing Ranchers off these land… laying unbearable Tax bills upon them, and using the Federal ‘Environmental and Parks’ Bureaucracy ‘The bureau of Land Management’ (BLM) to try and forcefully evict The Bundys off their local state Leasehold land. Now the BLM are not just smokey the Bear Park rangers, but a fully militarized force with Humvee’s and snipers! And at the orders of Obama’s Administration The BLM turned up to steal The Bubdy’s cattle and they killed a whole bunch and they assaulted some of the protesters who had gathered at the ranch in support of the family… anyway News got out about what was going on and Supporters came from far and wide… and they brought their Ar Semi Autos and spontaneously formed a Militia… and they proceeded to face off the BLM Arms vs arms! This event must rank as one of the greatest moments in modern US History! That most people dont even know about these Epic events just proves how mainstream media is absolutely failing in its duty as the vanguard of freedom! Anyway The Bundys and their supporters were able to force the ARMY of the BLM … and all the covert opps Black Utes… to Stand down… and leave! The Bundys were left on their property and with their cattle! Later The federal government would attempt other means by which to destroy the Bundys… They Ambushed, and Murdered one of their most Principled and Patriotic supporters and friend Lavoy Finicum and would via devious means arrest the Bundy men… and attempt to frame them in court… not once… but twice! Both times the Court found that the Bundy’s were Upright men and acted in full accord with their rights in defense of their property against state agencies that were acting in a corrupt and unlawful way! The Bundys were acting within their constitutional Rights to Bear Arms… AR 15s… in their own defense against a Tyrannical Government Agency… The BLM Had they not done so The BLM would have taken Their cattle and destroyed their Lives. The last judgement acquitting the Bundy’s *with prejudice* … a term that not only means they can never again be tried for the same reason… but also indicates how contemptible the court found the activities of the Federal prosecution! Go study these things… Go to the Bundy’s themselves and see how they are just an all American cowboy family and how their story is an absolute vindication of the second amendment and the need for citizens to have AR semi automatics… and their *Legal right* to point these ARs at Government agents who are acting in an unjust and tyrannical manor… breaking the Law! 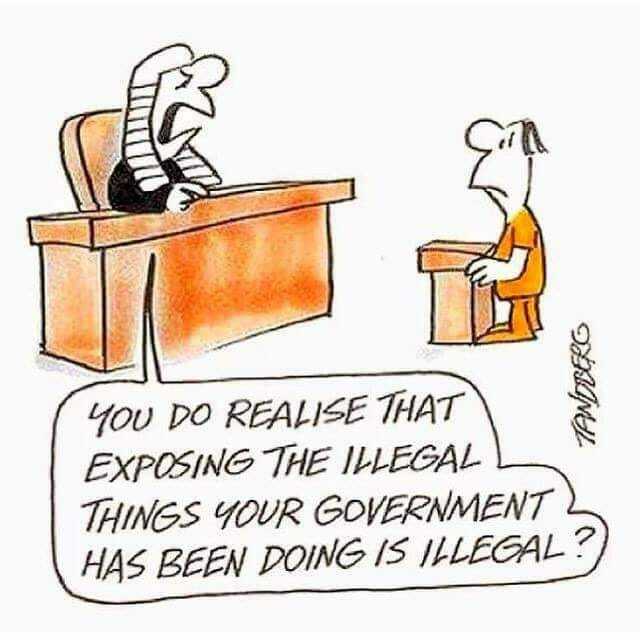 Yes Modern day Democratic Governments just like ours can… and do behave like criminals! 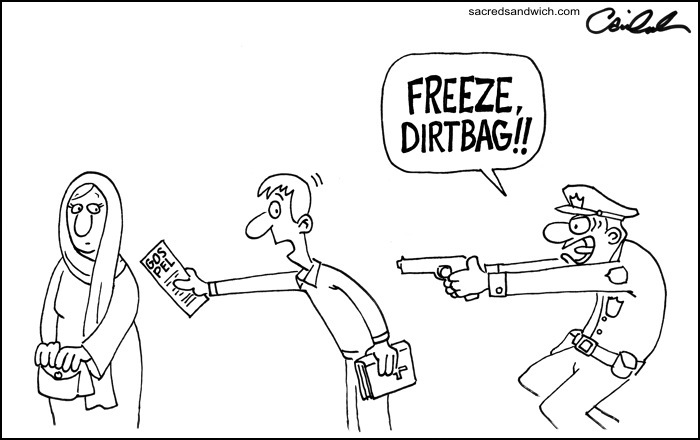 And we are seeing this behavior right now in New Zealand since the Christchurch atrocity… Squads of Police are at this very moment Trawling facebook and the internet and when they find any gun owner has commented on a Group that has been ‘flagged’… etc they are rolling around to these Law abiding citizens and gun owners and demanding to see their gun safes… and are threatening them with Gun confiscations… and trying to start altercations as pretense to seize arms of these innocent Citizens for the crime of making a comment on a facebook Page Jacina Arden does not like! It will end precisely like Venezuela! 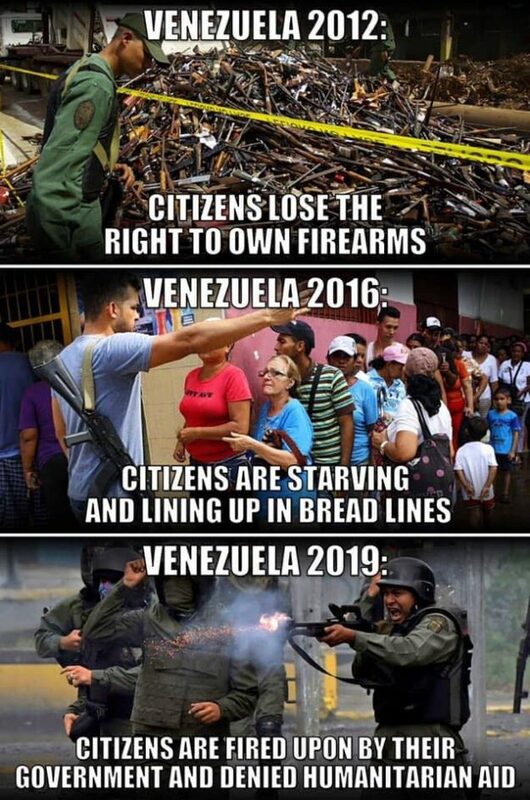 Where The Government confiscated guns of anyone associated with the public protest against the Corrupt Socialist Tyrant government and so the only people in Venezuela who legally own guns today are the supporters of the Evil regime! 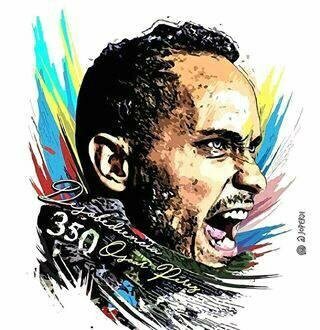 And today Venezuela is in its death trows of Tyranny, oppression, starvation, mass exodus, Death squads, an absolute Hell on earth… and this was the wealthiest nation in Latin America just a few decades ago. So only Fools cannot apprehend the truth that such a horrific future could happen here! Time prevents me from continuing my exposition on the vital importance of the lawful right to bear arms for self defense. In closing the greatest threat to the safety and happiness of our great country and any other does not come in the form of Terrorists or criminals… or even from dangerous foreign powers… The greatest threat comes from social moral degeneration capitalised upon by Oppressive government that run Heavily Burdensome Police states… in the name of public safety. Thus because it is a great delusion to believe the promises of Politicians like Jacinda Ardern that her Party State will keep us Safe from Terrorists and dangerous criminals I oppose this Bill and instead recommend Parliament remove the police from the administration of Firearms legislation (management of the Arms Act) and prohibit them from interfering in politics… in accord with the UN Recommendation of Policing in a Democracy restoring the vital separation of Executive power from the legislative powers of our democratic system, and also to frame and enact legislation that legalizes the Legitimacy of Self defense to be valid reason to seek to obtain and hold a New Zealand fire arms licence and firearms including semi automatics allowing those who prove themselves competent and mentally fit to own AR’s and Pump action shotguns for self defense, in their homes, workplaces, businesses, and places of worship and recreation. The New Conservative party is putting out some exemplary posts in opposition to the whole bill and farcical process by which the government has acted… here. Previous PostMy Submission on the Arms (Prohibited Firearms, Magazines, and Parts) Amendment BillNext PostWelcome to the Machine! 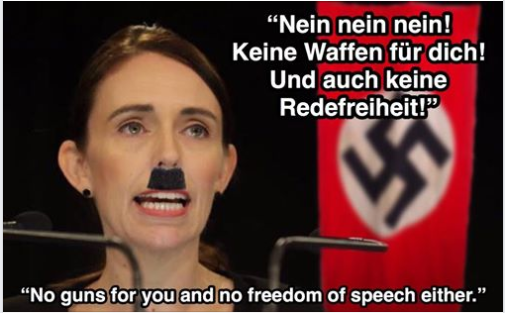 I guess it wont be long before I am put in jail for breaking New Zealand ‘Hate speech’ legislation. Well Good on him for opposing this bill… the most Libertarian thing he has ever done in his life…. DESPICABLE PARTISAN OPPORTUNISM BY ARDERN! Filmed from inside of a McDonald’s, the video shows two males attacking what appears to be a security guard outside of the restaurant. The assailants slam the security guard into the wall of the restaurant and grapple with him as he tries to free himself from the attack. As the scrum moves out of camera view, one of the attackers attempts to spray the man with what appears to be pepper spray. Suddenly, the attackers are seen running away as the man reappears holding a firearm pointed at his assailants. People inside the McDonald’s can be heard screaming “No!,” seemingly in response to the man pulling out his gun.